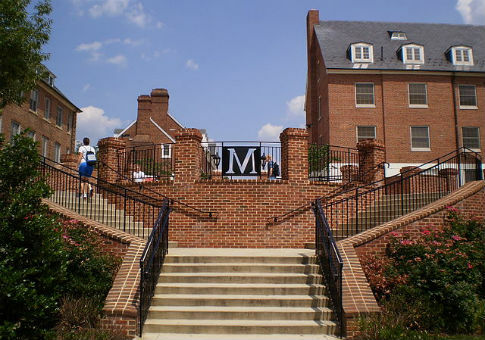 University of Maryland students called the police Tuesday over an alleged "noose" left near the campus' fraternity row. "Earlier today, we were notified of a knotted piece of plastic wrap laying on the ground in the 7500 block of Baltimore Ave.," the school's police department said in a statement. "An officer met with two individuals who were walking south when they noticed the item. Police were notified out of concern for possible hate-bias." The department noted that "preliminary investigation reveals that this type of material is used to contain and protect loose items during transport," but said that officers would continue the investigation "out of an abundance of caution." Some students complained that officers on the scene were dismissive. They tweeted out images of the "noose," which appears to be an ordinary piece of plastic wrap. The investigation comes after an April incident when a noose was found in a UMD fraternity house kitchen. The following week, several nooses and bananas were found hanging on the nearby campus of American University, with the initials of a predominantly African-American sorority written on the bananas. In a 2015 incident similar to UMD's latest one, students at the University of Delaware panicked over a series of "nooses" left on campus after a speech by conservative commentator Katie Pavlich. The "nooses" turned out to be lantern hangers left on a tree after an unrelated event. This entry was posted in Culture and tagged University of Maryland. Bookmark the permalink.